Here are some more options for Burtie's Bee Box, including the pictured solid light wood and bumble bee. 22 new swatches created by mixing and matching game textures. You can easily find my cc in the game catalog by typing "merry" into the search field. 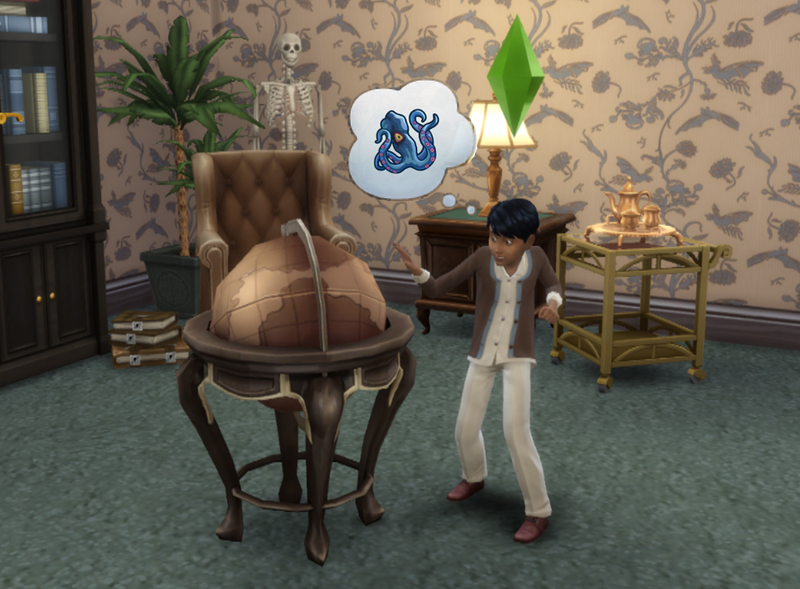 A cool and less celebrated function of the drink-making Vintage Glamour bar globe is that children can gain mental skill with it, using the "Study Globe" interaction. I added just that tuning to the City Living Global Perspective globe, so that it could be functional. The animations are cute and children appear to gain mental skill at about the same rate as playing chess. My test Sim, above, filled about one quarter of his level 1 mental skill bar during his first session. Other: You cannot get drinks out of this thing. Also, it does not have the spinning globe animation, unfortunately. This requires City Living. It may require Vintage Glamour too. I don't know. If you try it out in a game without Vintage Glamour, please let me know if it does or not, and I'll update this post with the info. And remember to watch out for the Kracken! 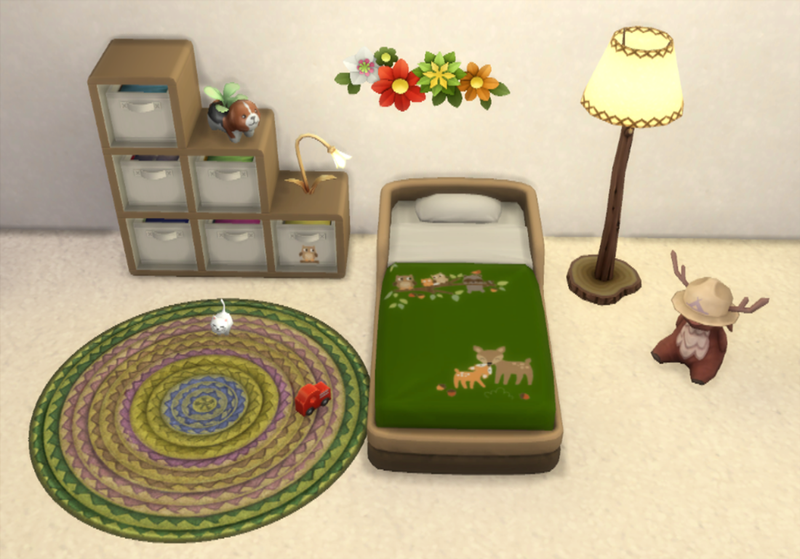 The Littlest Big Bed with a warm brown base and 2 recolors of the bedding. 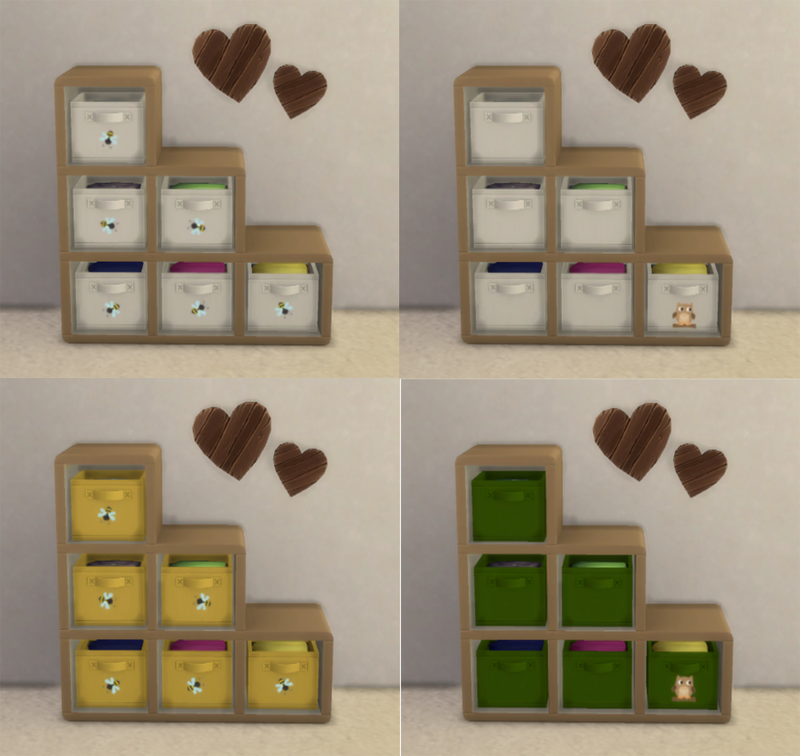 Cozy Cubby with 4 coordinating recolors with bees or owl. I've recombined the game textures for these two items to make 34 recolors of the chair and 81 recolors of the table. I tweaked the specular for the table legs, so the blue doesn't look quite as bad as it did. I just did combinations for the chairs and cushions that I thought looked at least half decent, but I did just about every possible combo for the dining table. You may want to use the My CC feature of S4S to reduce the number of swatches, especially if you have an older computer, that may lag because of them. 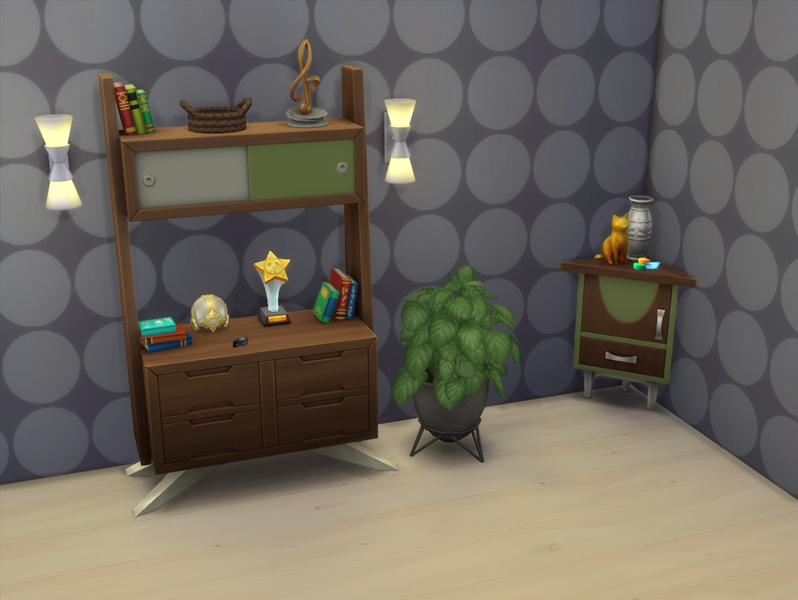 These graphics were extracted from the Kid's Stuff pack by Treelife Creations. I slapped them on the Spa Day Thumb Over Paint Splotch wall scroll. The results are pretty nice, I think. Get to Work filing cabinet in Maxis match wood with brass hardware and filing box in a beautiful bookbinding cloth texture with matching brass. There is 1 swatch on the cabinet and 4 on the box. Pet beds based on the City Living Pillow Fluff cushions recolored in 10 beautiful and muted Shadowfell Natural Dye color actions. From kliekie's tumblr: "Base pet beds give +1 energy, these give +3. Why? Because look at them! This makes them also more expensive: $125 & $175." Only requires Cats & Dogs. Matching recolors of the original cushions can be found here. 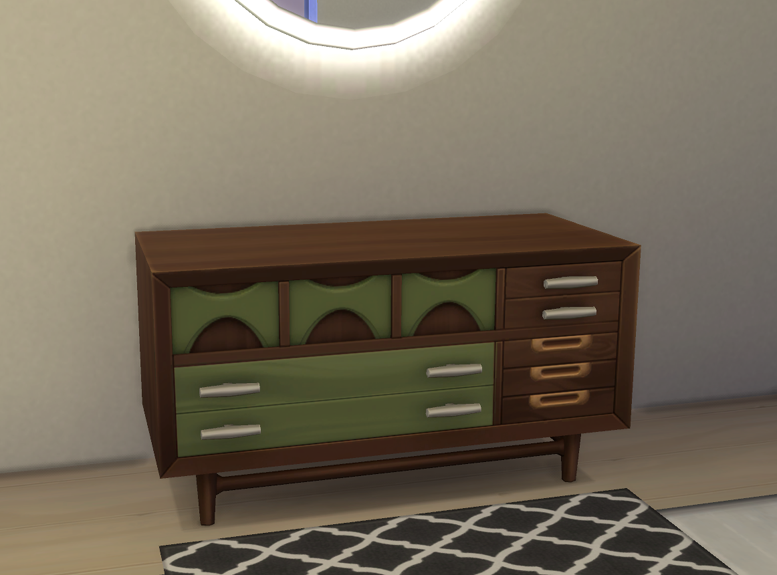 The Get Famous Mid-Century Modern Handy Dresser has a sage and brown recolor (original shown below) that wasn't used on any of the other Mid-Century Modern furniture. 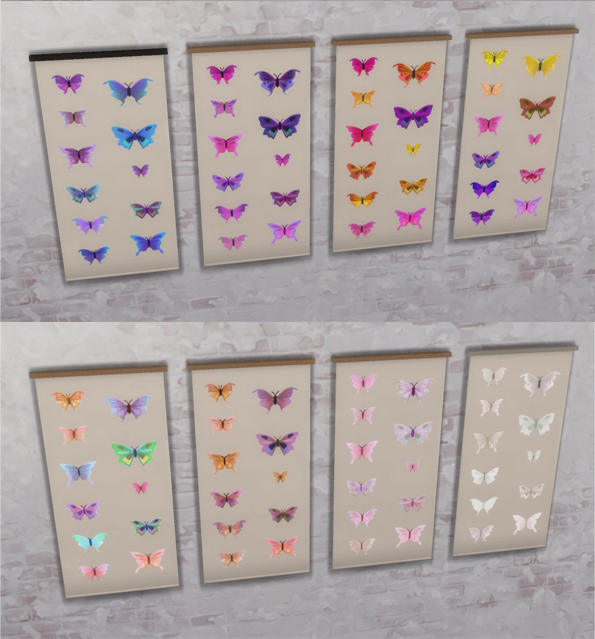 This is set of 14 items that have been recolored to match it as requested by pahnda . Pick and choose from the download link below. You will need Brazenlotus' separated bed frames (mattresses too) for the recolors here to show up in your game. Stellar Elite gave permission to include the mesh for the de-vased and slotted Keeper table, but why wouldn't you want the original too?? You will need linzlu's originals for those recolors to show up in your game. The whole add-on set is here. The Handy desk and stool already have sage swatches. 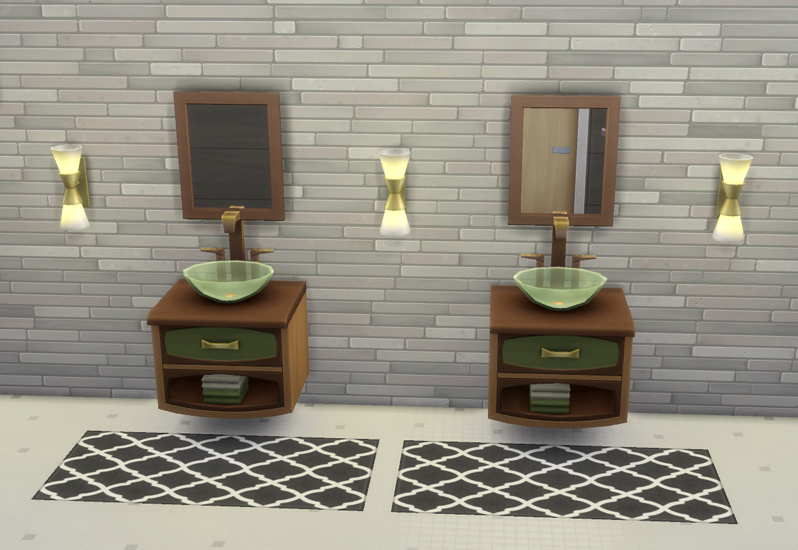 You may also want their Glamour vanity table, available here, which also already has a matching sage swatch. 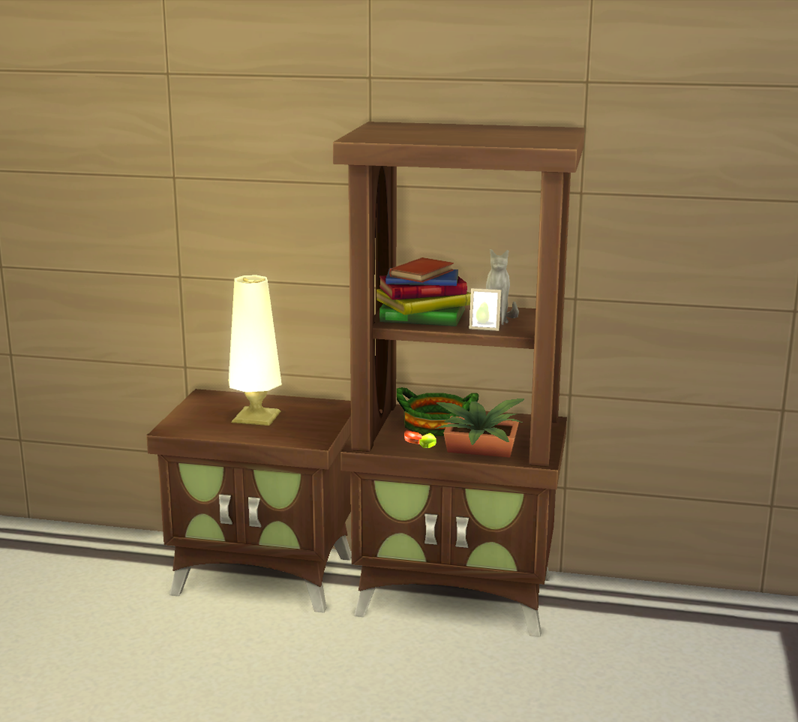 Known issue: The Nifty side table and narrow Nifty Nooks display by linzlu do not have proper thumbnails.